Food insecurity is nothing new for many Rohingya in northern Rakhine State, most of whom live in abject poverty, but this year is particularly bad. Of the state's almost one million inhabitants, about 85 percent are Rohingya, an ethnic, linguistic and religious minority that are de jure stateless in line with the country's laws. According to Human Rights Watch (HRW), they are denied citizenship and subject to strict restrictions on movement, employment and religious freedoms. Much of the food shortage can be attributed to a poor agricultural season in 2007 and 2008, rising food and agricultural inputs, and declining employment opportunities for the landless poor. The price of rice, a staple, was 75 percent higher in June 2008 against 2007, prompting many Rohingya families to forgo one meal a day. "Our recent field reports indicate a similar, if not worse, situation as regards household food insecurity in the early months of this year, largely due to growing levels of debt, a reduced harvest in the main 2008-2009 agricultural season, coupled with declining opportunities for wage labour," Chris Kay, country director of the UN World Food Programme (WFP), told IRIN in Yangon, the former Burmese capital. Exacerbating the problem is the significant drop in village rice stores recorded last month compared with levels typical for this time of year, Kaye explained. In addition, more Buddhist Rakhine families, as well as other ethnic households in the area, require assistance than before. Until recently food assistance was largely targeted at the Muslim population. However, according to rights activists, restrictions imposed by authorities on the Rohingya make their plight particularly dire. As the government insists they are Bengali and do not have the same rights as ordinary citizens, they are routinely subject to controls aimed at extracting heavy payments, as well as other forms of discrimination. Permits are required for everything from renovating their homes to marriage and travel. Even within Rakhine, Rohingya must apply for permission when travelling from one city to another. When it comes to education, it is costly and often impossible. At the same time, there are virtually no job opportunities once they finish. 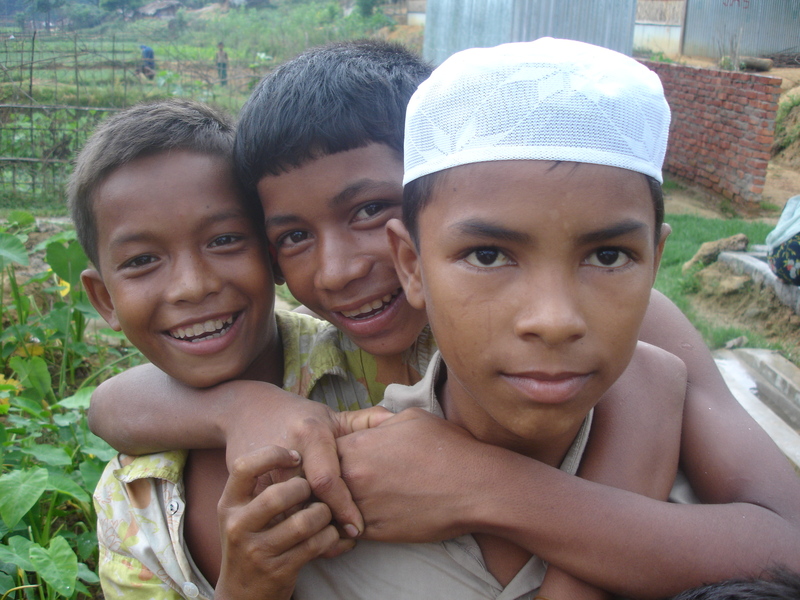 "I doubt that education will help us escape poverty," one Rohingya graduate told IRIN. "We can't use it to escape the poverty." With little or no employment opportunities, most Rohingya have no choice but to rely on themselves. Many choose to leave and more than 200,000 live in neighbouring Bangladesh, while scores continue to flee to other countries in the region, including Thailand, Indonesia and Malaysia. "There is a critical need to stabilise the situation in [Rakhine]. This can be achieved by increasing the current level of humanitarian and development assistance while actively supporting efforts to normalise the citizenship status of those currently excluded," Kaye said. However, that could prove difficult. WFP faced significant funding and commodity restraints in 2008, forcing the agency to cancel its Food-for-Education programme in northern Rakhine for the 2008/2009 academic year. Although donations from the European Union and the UN are expected, they have yet to be received and the overall funding outlook for 2009 remains uncertain. WFP needs $16 million to support its planned food assistance activities in Myanmar, including seven programmes in Rakhine, this year.